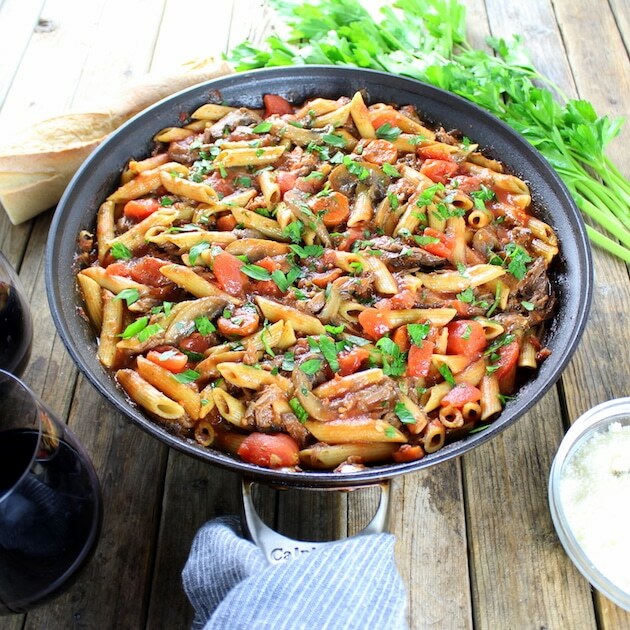 Crock-Pot Beef Ragu with Penne and Ricotta – a hearty and effortless comfort meal! So many delicious flavors are layered into this almost-one-pot dish… tomatoes, red wine, carrots, onion, tomato paste, garlic, fresh rosemary and thyme. 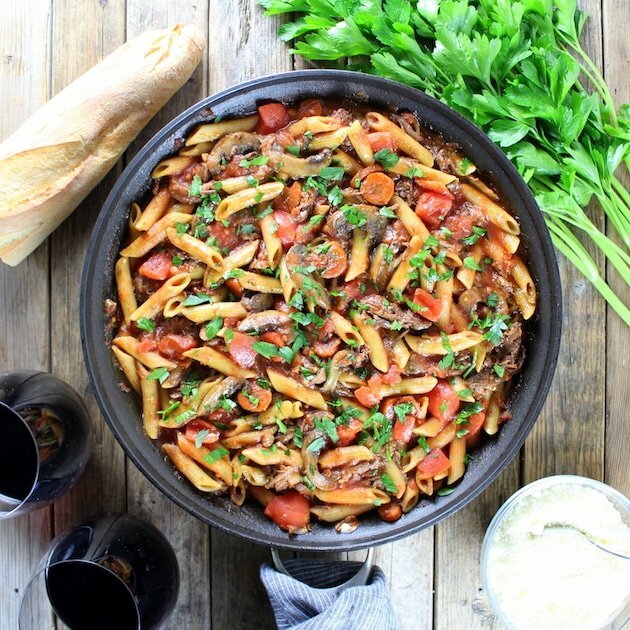 This dish is sure become a new family favorite! (This post may contain affiliate links; read our disclosure here). You cook yourself – thank you! 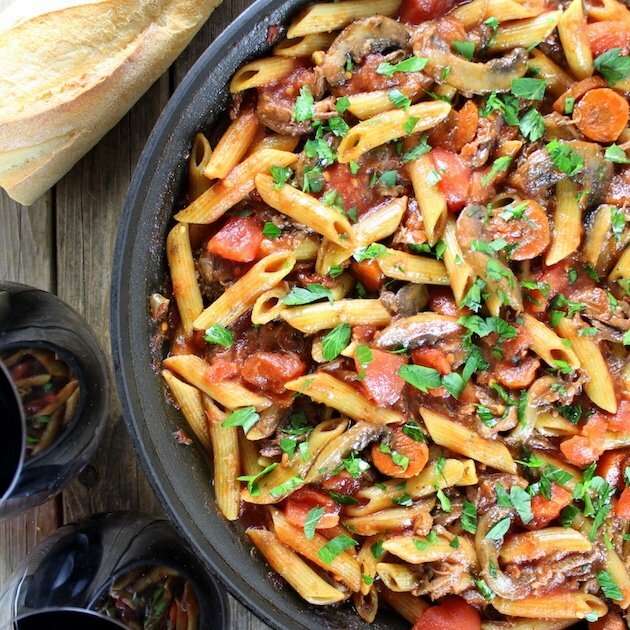 You’re meaty and hearty and tomato-saucy – yum! There’s so much of you – I can eat for days and days! Meat, meat and more meat… seriously, protein overload! You’re gluten free – if I want you to be. I love choices! The clean up is sooo simple… a sauce pan, a crock-pot, and a spoon – done! I should stop now because I want you to actually make this dish sometime this century! 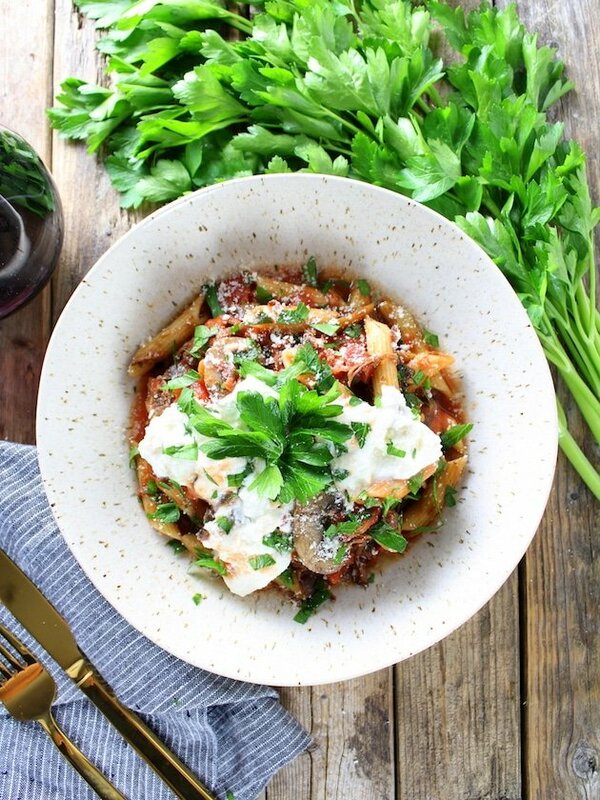 This braised beef ragu recipe is really comfort food at its best… cozy and warm and soo filling. You could probably turn the heat off in your house because this dish is on fire!!! In the best way possible. I must warn you, if you make this your husband or significant other may actually rub your feet, buy you gifts, & shower you with flowers. Trust me… the way to a man’s heart is through his stomach – by way of hearty, juicy meat!! No joke, ladies – they are protein fiends (carnivorus maximus). It is part of who they are… let’s embrace it! God created them to hunt, gather and provide… and enjoy the spoils of their labor. Serve them copious amounts of meat regularly and your life will be dreamy. They won’t ask about that Macy’s bag hiding in the trunk, or those new shoes you’re wearing, or how much your nails cost… no, my friend they will be in a carnivore coma. Completely unconscious and oblivious. So go ahead… draw a bath, turn on House Hunters International or Fixer Upper, and prop your feet up cause you’re not doing dishes tonight or any other night this week! What can I say? I’m a team playa’ … I’m lookin’ out for all my gurls – and guys for that matter!! The recipe is really simple with minimal cleanup. You braise your hunk of meat for 2-3 minutes a side in a sauce pan over medium-high heat. 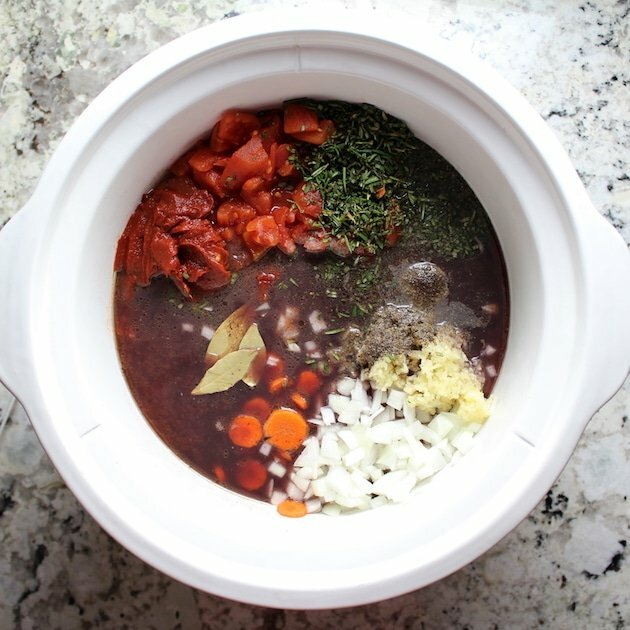 Set it aside and add the tomatoes, red wine, carrots, onion, tomato paste, beef or chicken stock, bay leaves, garlic, salt and pepper, fresh rosemary and thyme into your favorite crock-pot . Give it a stir then add your roast. Turn the crockpot on high heat and cook for 5 hours. The meat should be fall apart tender when it’s finished cooking. 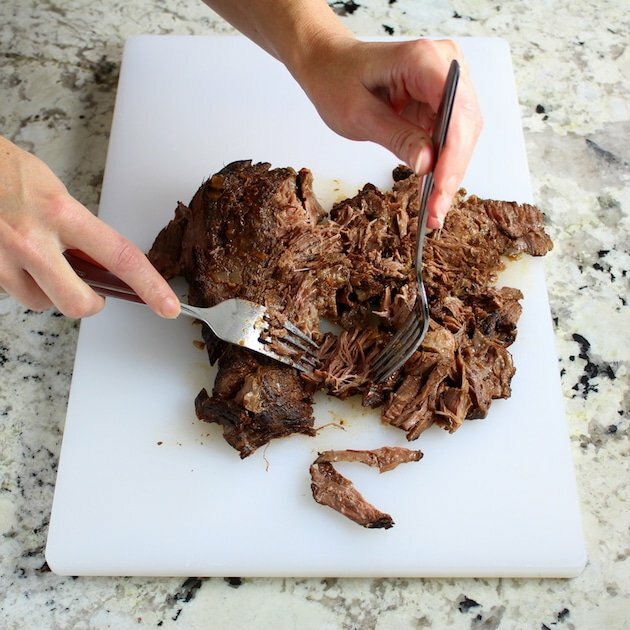 Remove the roast from the crockpot and pull using two forks. Be sure to remove any fat you see. 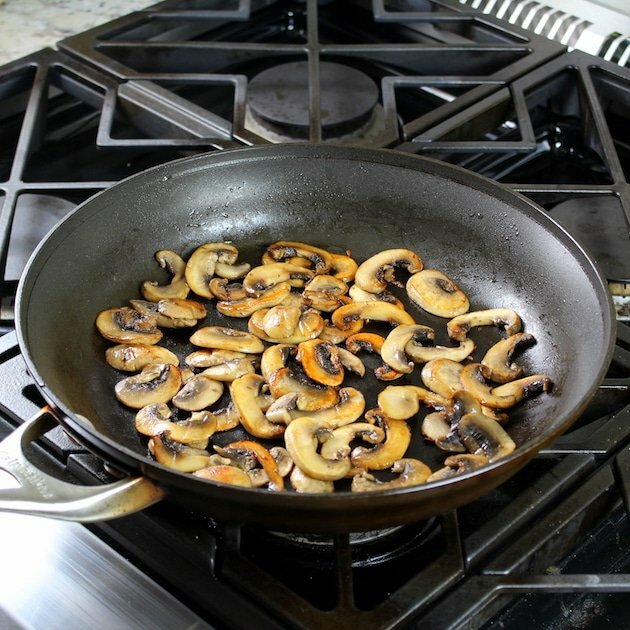 Slice your mushrooms, add some olive oil to your large sauce pan and cook them for 3 minutes a side over medium-high heat. Next pour the cooking liquids from the crock-pot over the mushrooms in the saucepan, remove the bay leaves, and continue to cook. 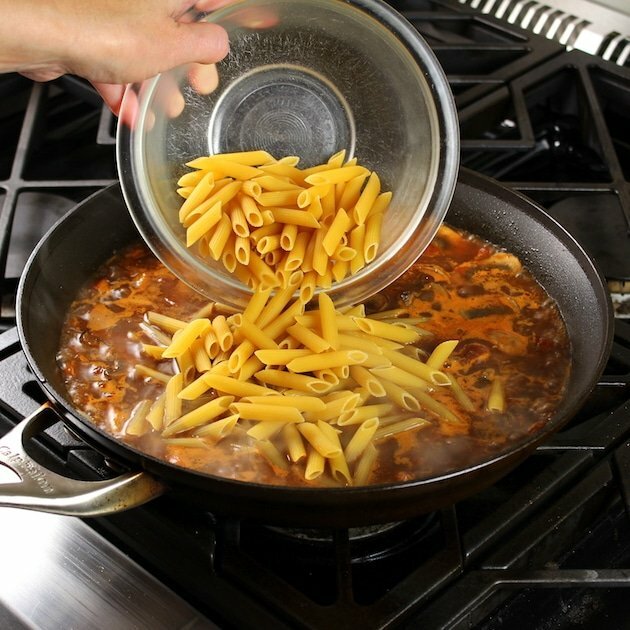 When it starts to simmer add the pasta. Cook for 10-12 more minutes and then add the meat. Top with some grated parmesan and ricotta and enjoy! 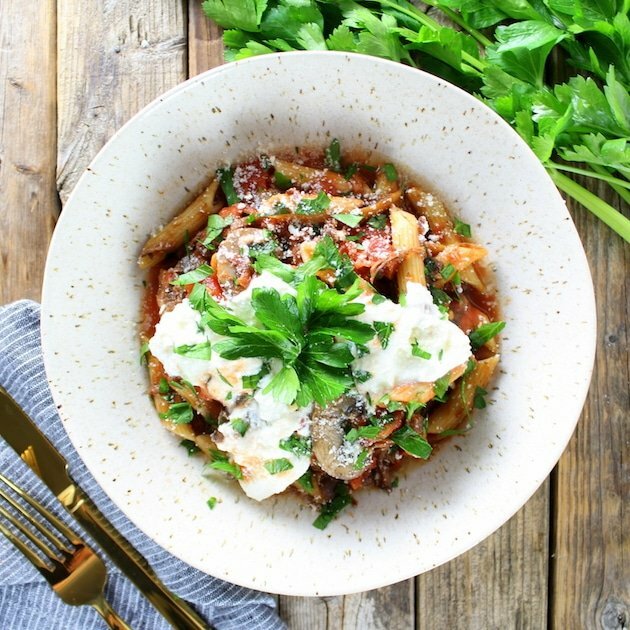 This Crock-Pot Beef Ragu is perfect for those chilly nights when you need a hearty bowl of comfort food. Full of flavor and yummy goodness – it’s sure to be a new family favorite! 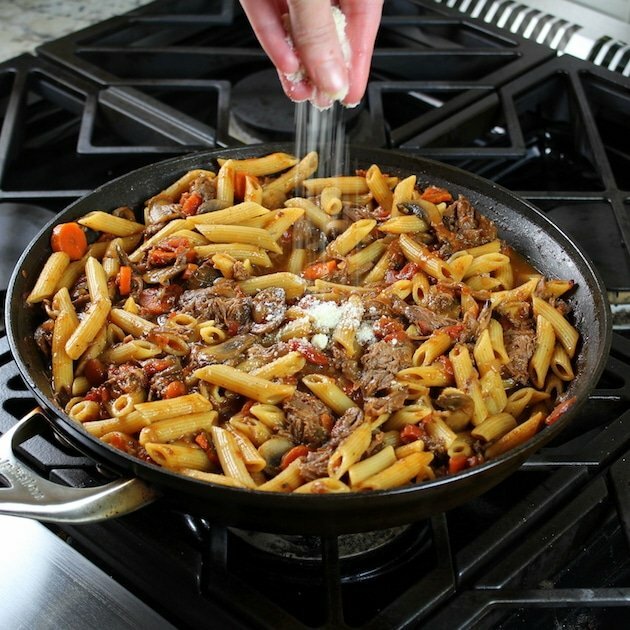 Crock-Pot Beef Ragu with Penne and Ricotta – a hearty and effortless comfort meal! Season the meat with 1 teaspoons salt & 2 teaspoons pepper, then braise on all sides. 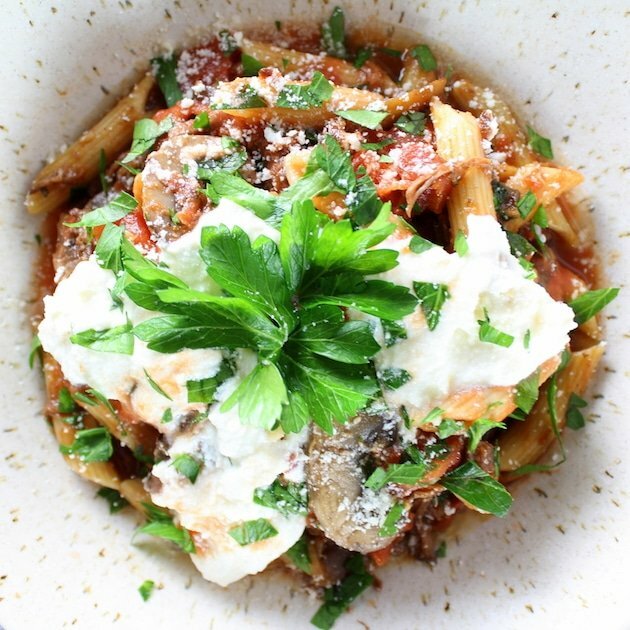 Add all ingredients into crock-pot except for the pasta, ricotta, Parmesan and mushrooms. Cook on high for 5-51/2 hours. Remove meat from the crock-pot, let it cool slightly and pull and set aside (remove any fat and discard). 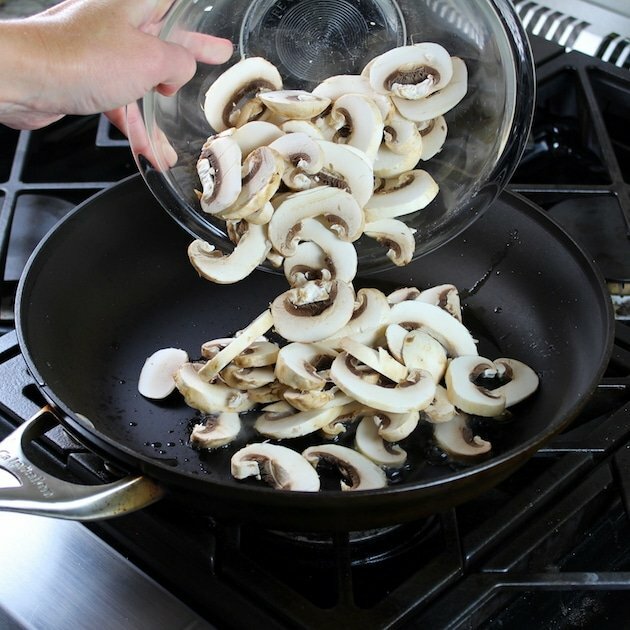 Cook mushrooms in large sauce pan with 1 tablespoon of olive oil for 3 minutes a side. Then add all the juice from the crock pot into the saucepan, remove the bay leaves and bring to a simmer. Now add uncooked pasta and cook for 10-12 minutes or until pasta is done to likeness (stir occasionally to ensure the pasta cooks evenly). Add pulled meat to the sauce, and cook until heated through, about 2 minutes. Sprinkle with Parmesan cheese. 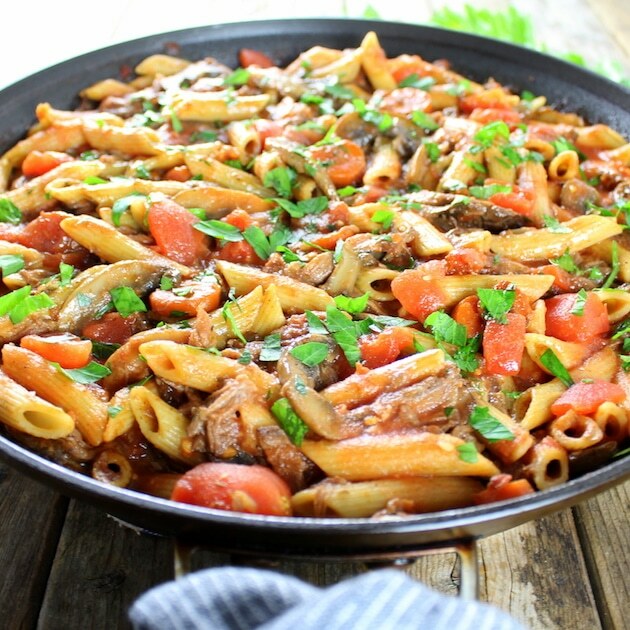 Serve with dollops of ricotta cheese and enjoy!!! I like to buy tomato paste in a tube rather than a can. That way I can keep it on hand in my fridge and there's never any waste. 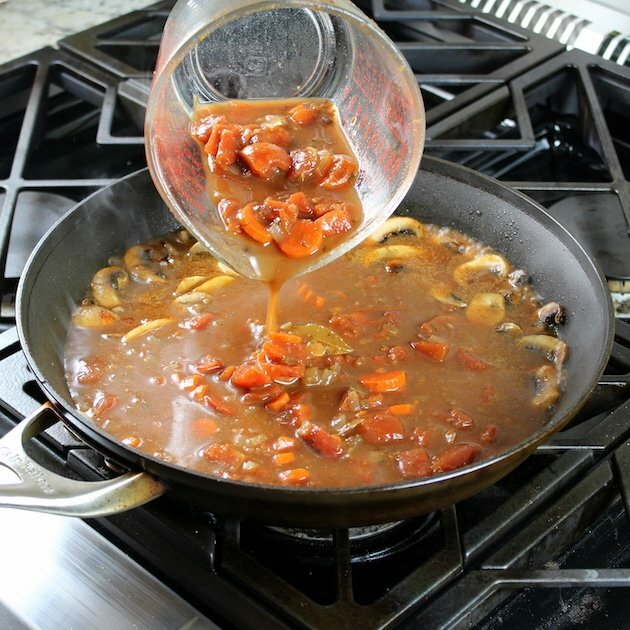 If sauce is too thick you can add some beef or chicken stock to sauce to loosen it up. Want to get our recipes by SMS/text message? Text “TASTE” to 96000. (US readers only; Msg&Data rates may apply). I’m a failure at crockpot cooking but this was A-MAZ-ING! I cooked the beef on Sunday, packed it all up when it was cooled off and completed the recipe on Monday for dinner. So good and so easy! Thanks Tara! I have not frozen this dish before but it’s definitely possible. 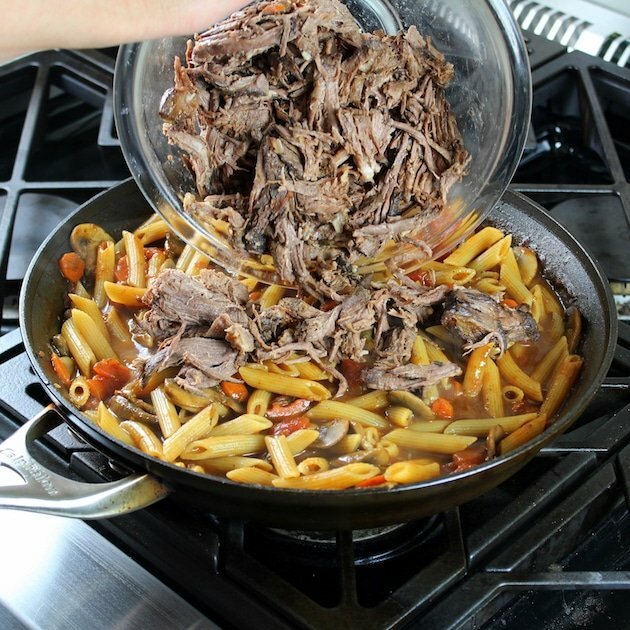 I recommend making the roast and using half of it for this recipe and half for something else later in the week like pulled beef tacos or beef pot pie. You could also freeze half of the beef by itself; just leave it in large chunks. 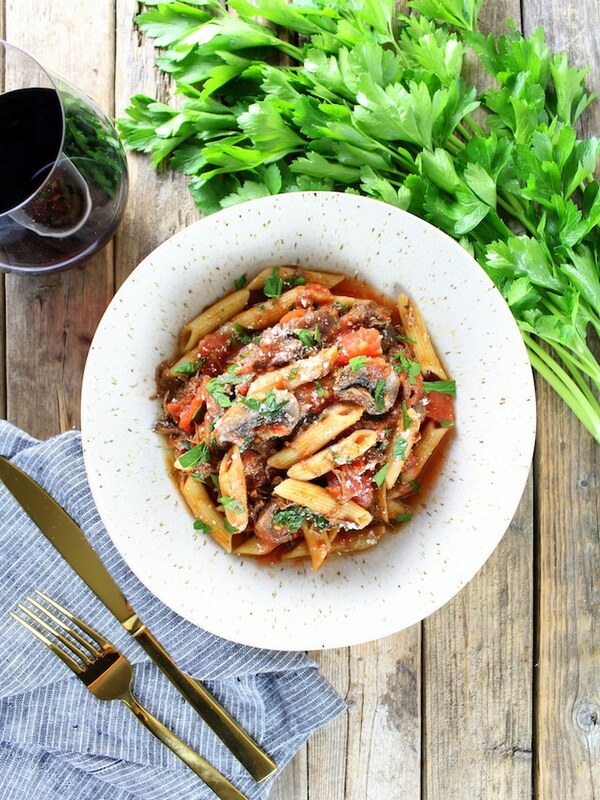 As for freezing the Ragu, here are my recommendations: Only cook the pasta al dente, and don’t put the ricotta on the portion you want to freeze only on want you will be eating. When defrosting, let it defrost fully in the fridge and then heat it up but don’t cook it too long. Hope that helps! FYI – I have frozen the Tuna Cakes before and they turn out great. Just wrap them individually in plastic wrap and store them in a freezer container or ziplock. This was one of my regular meals of 2016, and I’m making it tonight. I LOVE it! I regularly freeze half of the roast for later, or use it in tacos later in the week (taco night tomorrow!). And I have frozen it many times, leaving the noodles (and of course ricotta) out completely. I just cook the noodles in it when I’m heating it back up to serve and it works great! Hi Tara! Thanks for stopping by to share your feedback! Nothing makes me happier than to hear recipes I create are enjoyed and shared by others. Yaaaay! !👏 I love that it makes two completely different meals for your family. Less time in the kitchen and more time with those you love! Thanks again my friend – take care!